In early August, the SmartStart team – together with a film crew – visited took a trip to Queenstown. We went to shoot a series of videos, to showcase some of the SmartStart Daily Programme currently running there. Queenstown is home to one of our very first Franchisors, Khululeka. Khululeka Is committed to working with communities in Queenstown (and beyond) to provide high quality Early Childhood Development programmes. 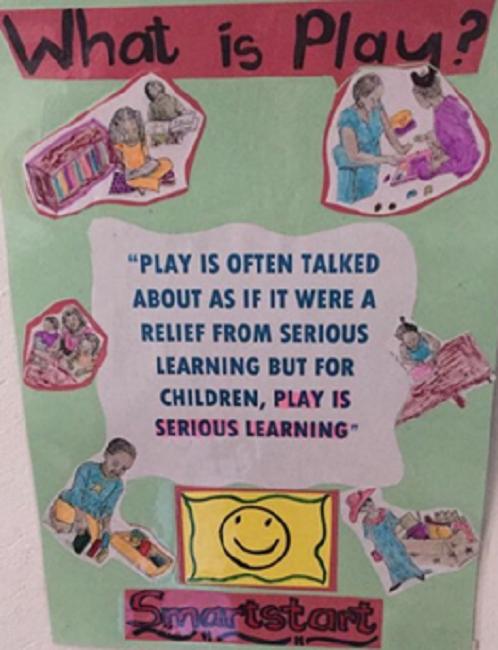 Many of the young children in Queenstown do not have access to early learning. Parents are either unable to afford the fees for early learning programmes, or are unaware of just how important early learning is. During our trip, we met two extraordinary women, who we are lucky enough to call SmartStarters. Because these two women run such successful SmartStart early learning programmes, we selected their sites as the locations for our film shoots. Mrs. Jonas has also made toys from materials she found around her community. 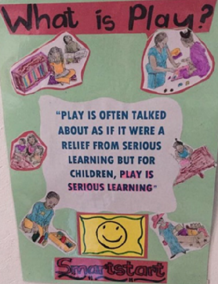 The children have lots to choose from during play time and love to play with all of the toys. Nompumelelo, our other SmartStarter, runs her early learning programme in the morning. In the afternoon, she provides after-care support for these children, as well as for some special needs children. 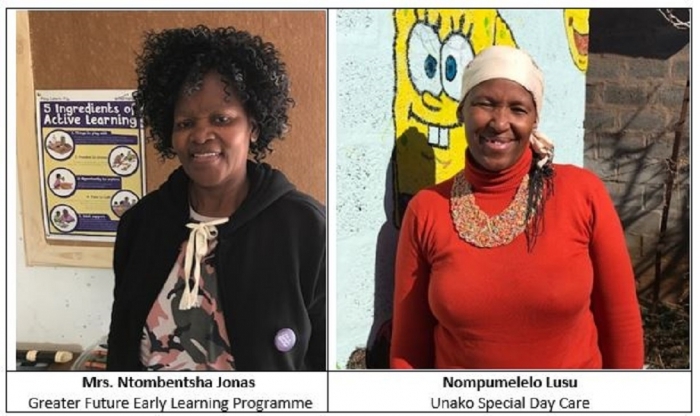 The parents in Nompumelelo’s community recently nominated her for an award sponsored by Woolworths. Nompumelelo won – and was given R5,000.00 to renovate her playgroup site. And just look at what she has done. She has taken great care to decorate her site, creating an enchanting environment for children. Her creativity and attention to detail is astounding. She definitely has a gift for interior and exterior design – we didn’t want to leave! What a privilege it was to meet these two inspiring women. Every day, they are making an impact on the lives of children in Queenstown. I left their sites in good spirits, knowing that the children are in very good hands and that their futures are going to be bright. The visit renewed my faith in our goal to provide quality early learning opportunities to the poorest 40% of South Africa’s children. While it is an ambitious goal, people like Ntombentsha Jonas and Nompumelelo Lusu make it possible. We are also grateful to the Khululeka team, who so ably support our SmartStarters. We recognise all your hard work that goes into supporting these SmartStarters – and we thank you.